Commemorating the 2018 NFC Champions! 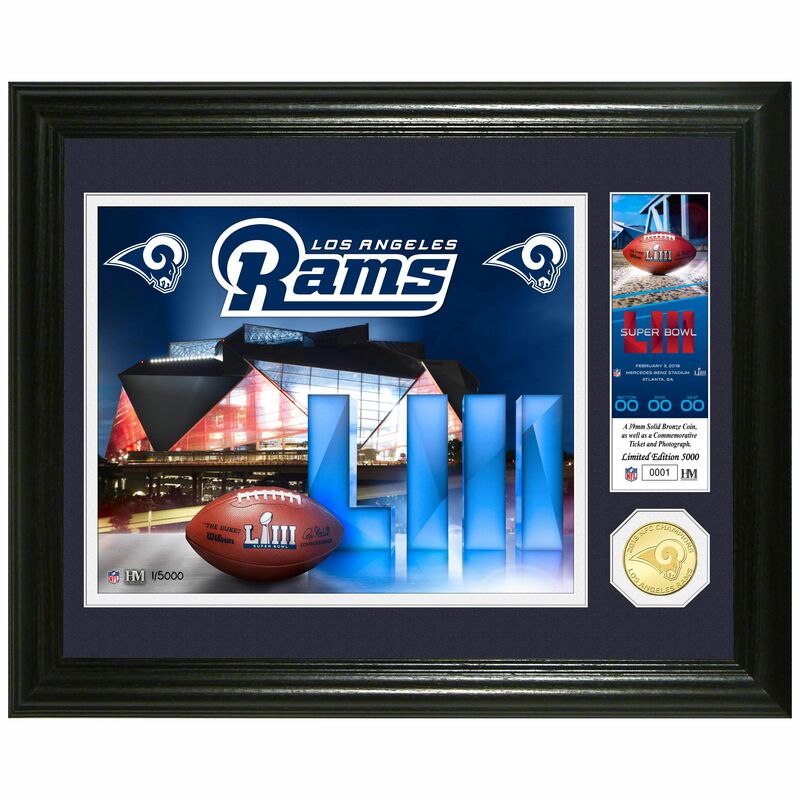 This 13” x 16” frame with triple matting and a glass front panel features a custom and individually numbered 8" x 10" photo of the key players from the 2018 NFC Championship team along with facsimile signature (exact replicas) highlighted below each player. 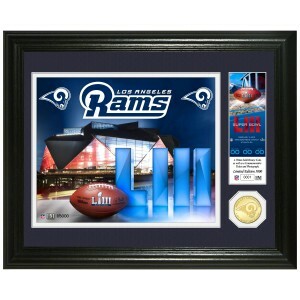 This collectible frame is highlighted with a minted 39mm bronze Super Bowl 53 commemorative coin and a 39mm bronze 2018 NFC Champions commemorative coin . A numbered certificate of authenticity is matted between both bronze coins. A Limited Edition of only 5000 and officially licensed by the NFL and NFLPA. Proudly made in the U.S.A. by The Highland Mint! Measures 18" x 15" x 4".